But the real standout on this Nomos Orion is the dial - the blend of black indices with gold plated and diamond polished applied 5 minute markers makes this watch a work of art. Nomos has added two new features to the latest Orion Datum - an increased case size (from 35 mm to 38 mm) and a larger date display at 6. 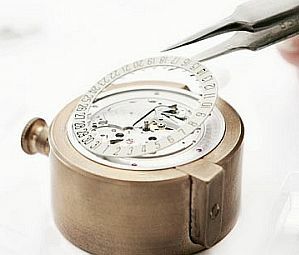 Next, the ratchet and crown wheels are decorated with traditional Glashutte starburst patterns. 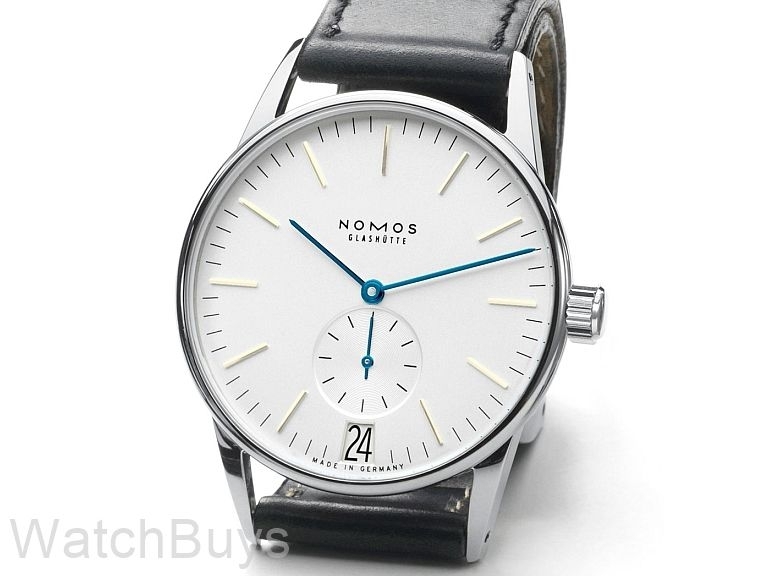 Finely blued screws are used throughout, and other features include Triovis fine adjustment in four positions, hack mechanism, Nomos click, and power reserve of 42 hours. The dial contains an off-center subsidiary seconds dial, with baton hands made of steel tempered blue. Verified Owner Comments: Everything I hoped for.